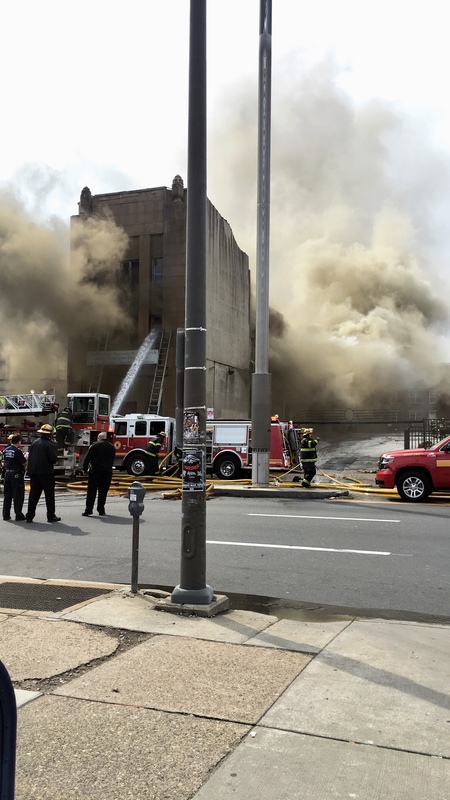 A fire broke out on the 1500 block of Broad Street between Jefferson and Oxford Streets at The Original Apostolic Faith Church of the Lord Jesus Christ between Jefferson. Emergency responders began arriving at the scene at approximately 2:20 p.m. to respond to the call. The firefighters immediately began working to stop the fire and check that there was no one inside. There are no reported injuries. The crew then proceeded to break the windows at the front of the building to release the majority of the smoke from the building. Black smoke streamed from the windows and clouded the surrounding buildings in the area. The smoke has fogged up a majority of the surrounding area and can be seen from as far as the Temple Performing Arts Center (TPAC). According to police officials, it is unclear what caused the fire. More updates about this story to come.